39 photos of a rare winter steam charter on this 76cm gauge line south of Salzburg. Salzach gorge, Tues 3 February 2015 - 0910. 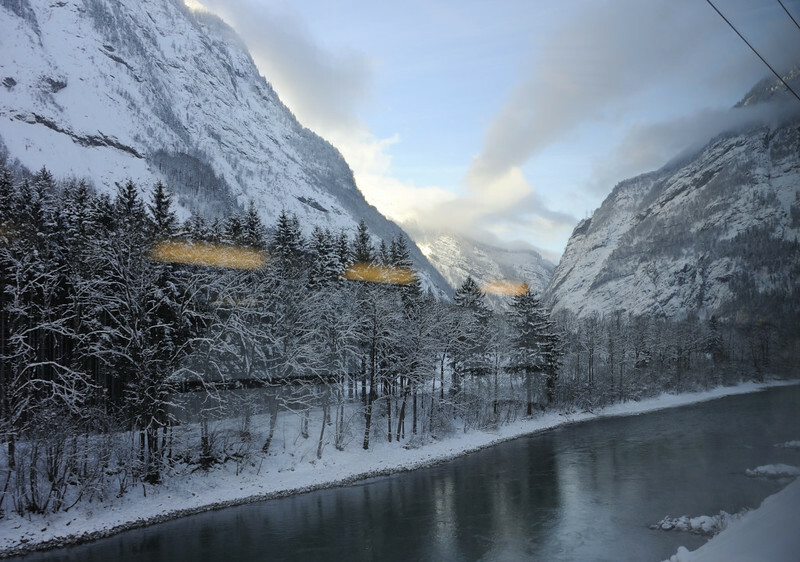 Looking north from inside a train travelling from Salzburg to Zell am See.